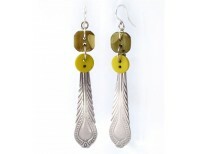 This boho-chic cuff is from our Khmer Creations collection. Each one is crocheted by hand from cotto.. 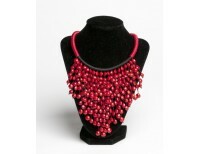 The tiniest of crochet stitches encase wooden beads for a vibrant pop of color. 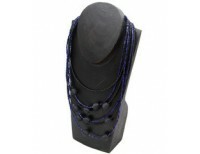 The hand-made croche.. 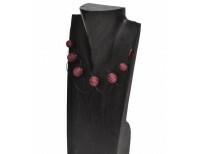 This chunky, organic necklace is made with angkunh and diup seeds. Angkunh seeds are inedible fruit..
From the beautiful Khmer Creations collection. 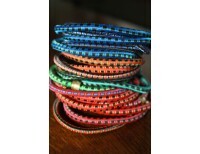 Individually hand-wrapped cotton beads, spun onto tig..
Hand crafted from semiprecious stones by the artisans of Khmer Creations women's cooperative in Camb..
Salvaged from clothes at the end of their life, these cuffs are created from a vast pile of random b..
A continuous strand of red sandalwood seeds wrap around your wrist for a bold color statement. Made .. 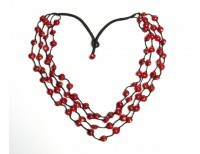 This necklace is made from six strands of layered seed beads accented with unique cotton beads. 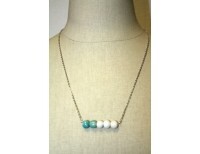 Your..
Seripeap means freedom in the Khmer language and is beautifully represented in this new necklace fro.. 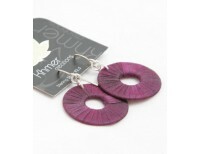 The artisans of Khmer Creations women's cooperative utilize materials found locally in Cambodia. .. 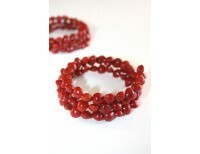 These bracelets made from mini bungee cords look great when worn alone or in multiple strands on t.. 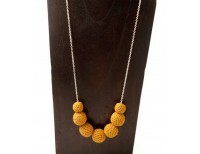 Truly make a statement with this gorgeous sandalwood seed bead necklace from Cambodia. 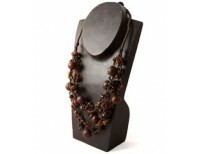 16" length; b..
Make a statement with this gorgeous sandalwood seed necklace from Cambodia. 24" length. Choice of s.. 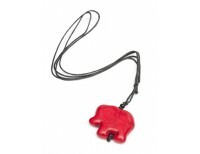 This darling carved elephant hangs from an adjustable black cord. 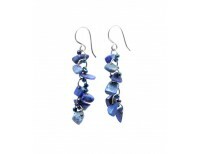 It is made of Howlite, a natural m.. 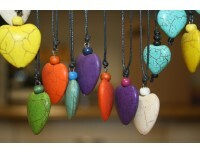 This beautiful stone necklace is made from Howlite, a natural mineral that is dyed in all the colors..